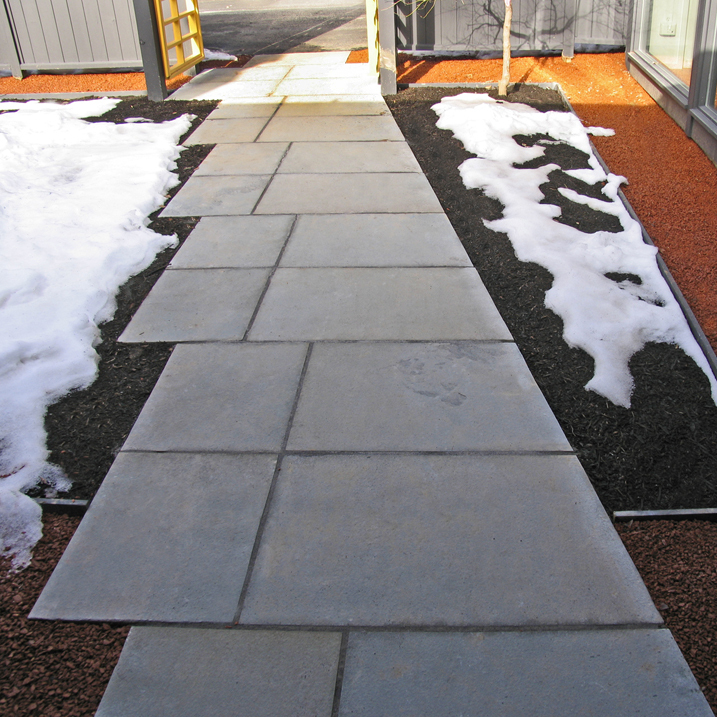 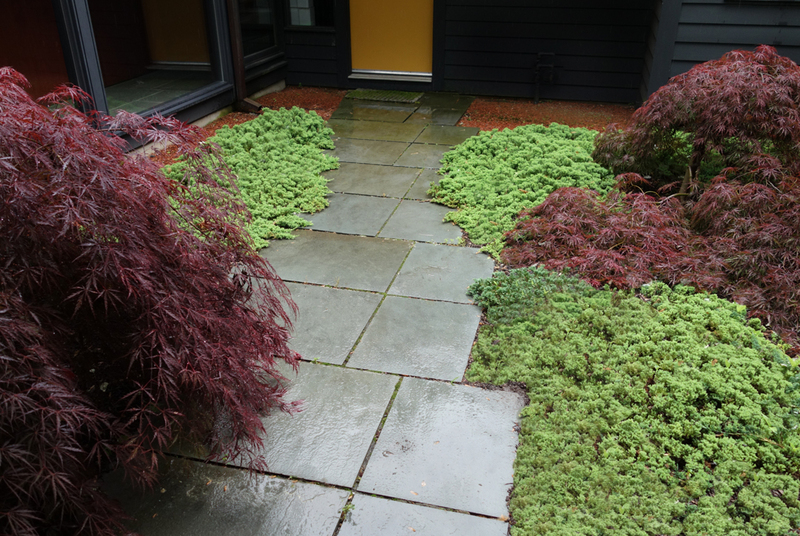 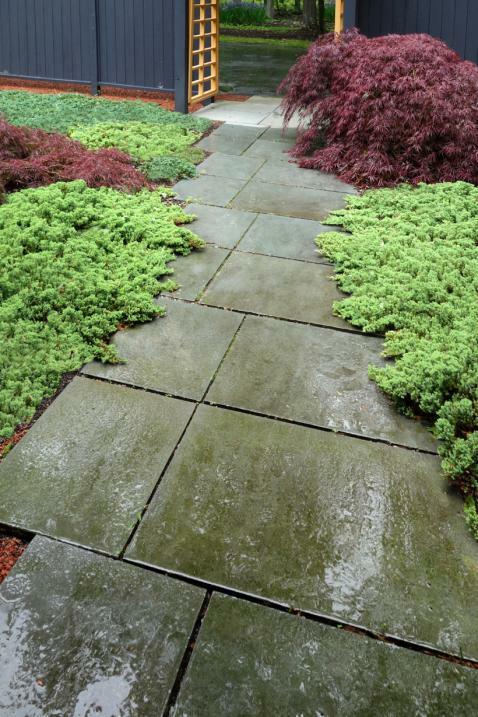 The entrance to a modernist house in Princeton, New Jersey is handled with a repetitive system of slate pieces that are cut to establish a straight edge on one side and a serrated edge on the other that repeats a double rhythm. 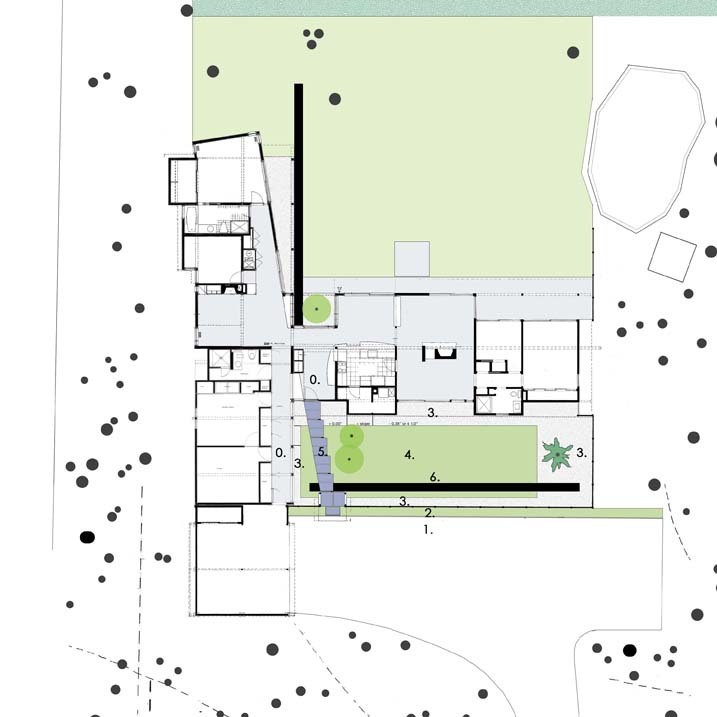 The opposition of the two edges reinforces the transitional nature and crossing the forecourt garden from the car park to the residence both ways. 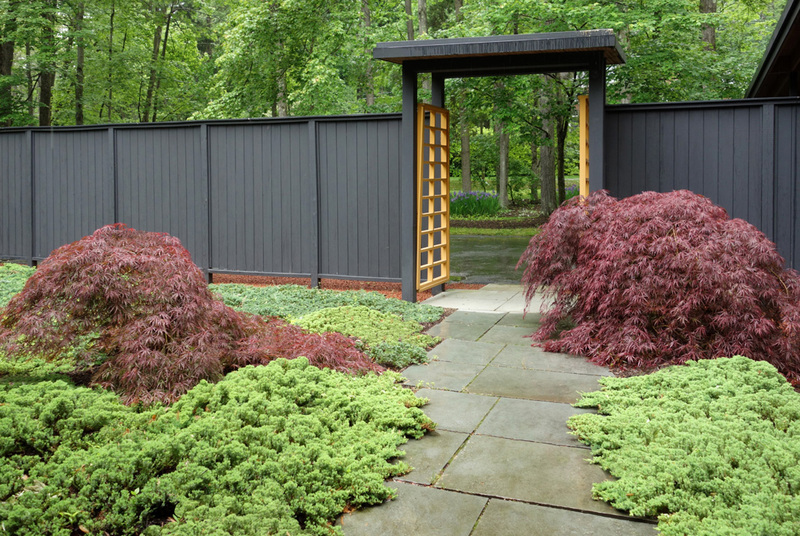 Designed for an architectural professor at Princeton University, the project demonstrates how landscape works of a modest scale can still be rich with ideas and elegance.